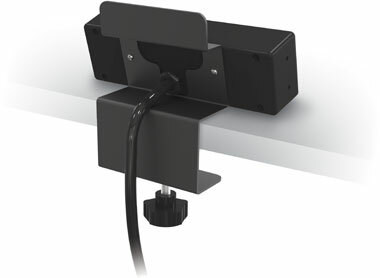 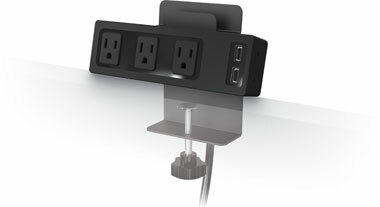 Adjusts to fit a desktop from .75" to 2" thick. 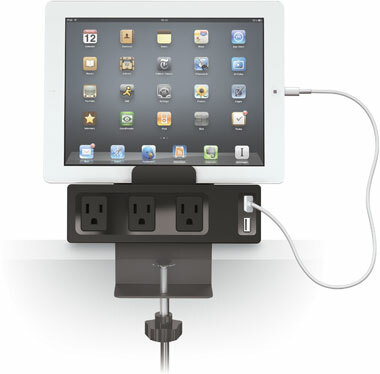 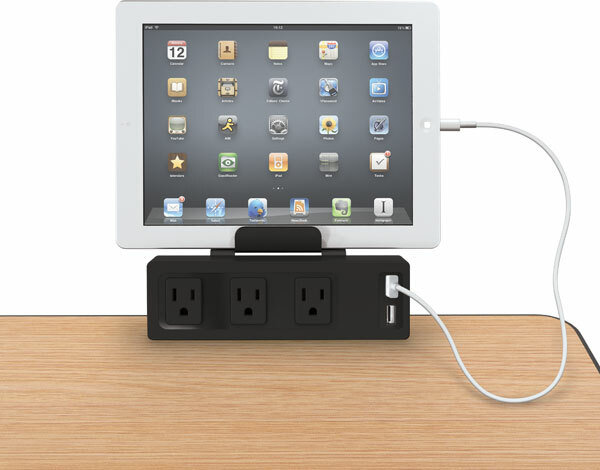 Includes three AC outlets, two 2.1 Amp USB charging ports, and a 10' power cord. 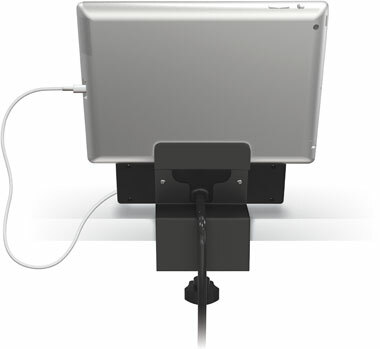 Handy lip can be used as a tablet stand.